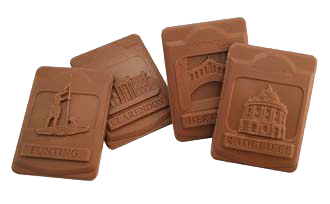 These fine detailed chocolates are approximately 43g Belgian milk chocolate, packed in a clear box and printed informative z-card. 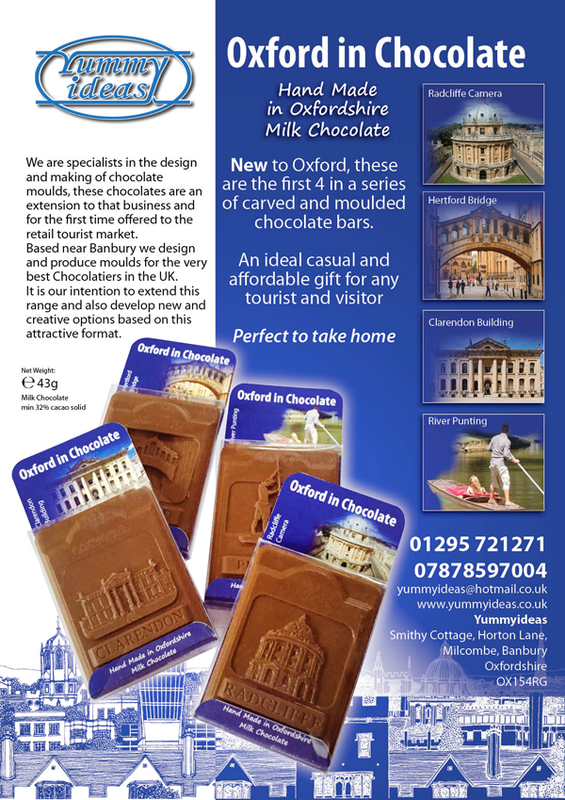 A perfect £3.99 grab-and-go gift for any tourist or visitor. To purchase these for your retail outlet call Yummyideas 01295721271 - email yummyideas or purchase at £2.50 each item plus postage. At Yummyideas we aim to duplicate the success of these bars around the country in University and Cathedral Cities and Towns.